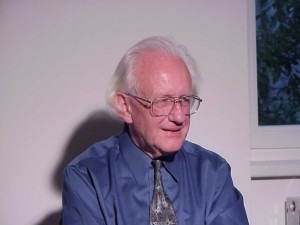 In this column, Johan Galtung, Professor of Peace Studies and Rector of the TRANSCEND Peace University, looks at West-Islam polarisation and some of the possible solutions, although he wonders whether the West has the willingness or ability to reconcile. KUALA LUMPUR, Oct 28 2014 (IPS) - More senseless bombing of Muslims, more defeats for the United States-West, more ISIS-type movements, more West-Islam polarisation. Any way out? “ISIS [Islamic State in Iraq-Syria] Appeals to a Longing for the Caliphate”, writes Farhang Jahanpour in an IPS column. For the Ottoman Caliphate with the Sultan as Caliph – the Shadow of God on Earth – after the 1516-17 victories all over until the collapse of both Empire and Caliphate in 1922, at the hands of the allies England-France-Russia. Imagine the collapse of the Vatican, not Catholic Christianity, at the hands of somebody, Protestant or Orthodox Christians, meaning Anglo-Americans or Russians, or Muslims. A centre in this world for the transition to the next, headed by a Pope, an emanation of God in Heaven. Imagine it gone. And imagine that they who had brought about the collapse had a tendency to bomb, invade, conquer, dominate Catholic countries, one after the other, like after the two [George] Bush wars in Afghanistan-Iraq, five Obama wars in Pakistan-Yemen-Somalia-Libya-Syria and “special operations”. Would we not predict a longing for the Vatican, and an extreme hatred of the perpetrators? Fortunately, it did not happen. But it happened in the Middle East, leaving a trauma fuelled by killing hundreds of thousands. The Sykes-Picot_Agreement between Britain and France of 16 May 1916 led to the collapse, with their four well-known colonies, the less known promise of Istanbul to Russia, and the 1917 Balfour Declaration offering parts of Arab lands as “national home for the Jewish people”. Jahanpour cites Winston Churchill as “selling one piece of real estate, not theirs, to two peoples at the same time”. The Middle East colonies fought the West through military coups for independence; Turkish leader Kemal Atatürk was a model. The second liberation is militant Islam-Muslim Brotherhood, the Islamic Salvation Front in Algiers and so on against secular military dictatorships. The West prefers military order against history. The longing cannot be stopped. ISIS is only one expression, and exceedingly brutal. But, damage and destruction by U.S. President Barack Obama and allies will be followed by a dozen ISIS from 1.6 billion Muslims in 57 countries. A little military politicking today, some “training” here, fighting there, bombing all over, are only ripples on a groundswell. This will end with a Sunni caliphate sooner or later. And, the lost caliphate they are longing for had no Israel, only a “national home”. This is behind some of the U.S.-West despair. Any solution? The way out is cease-fire and negotiation, under United Nations auspices, with full Security Council backing. To gain time, switch to a defensive military strategy, defending Baghdad, the Kurds, the Shia and others in Syria and Iraq. The historical-cultural-political position of ISIS and its successors is strong. The West cannot offer withdrawal in return for anything because it has already officially withdrawn. The West, however, can offer reconciliation, both in the sense of clearing the past and opening the future. Known in the United States as “apologism”, a difficult policy to pursue. But for once the onus of Sykes-Picot is not on the United States, but on Britain and France. Russia dropped out after the 1917 revolution, but revealed the plot. Bombing, an atrocity, will lead to more ISIS atrocities. A conciliatory West might change that. An international commission could work on Sykes-Picot and its aftermath, and open the book with compensation on it. Above all, future cooperation. The West, and here the United States enters, could make Israel return the West Bank, except for small cantons, the Golan Heights, and East Jerusalem as the Palestinian capital – or else! – sparing the horrible long-lasting Arab-Israeli warfare. This would be decency, sanity, rationality; the question is whether the West possesses these qualities. The prognosis is dim. There is the Anglo-American self-image as infallible, a gift to humanity, a little rough at times civilising the die-hards, but not weak. If not an apology, at least they could wish to undo their own policies in the region since, say, 1967. No sign of that. So much for the willingness. Does the West have the ability? Does it know how to reconcile? After Portugal and England conquering the East China-East Africa sea lane around 1500, ultimately establishing themselves in Macao and Hong Kong, after the First and Second Opium wars of 1839-1860 in China, ending with Anglo-French forces burning the Imperial Palace in Beijing, did Britain use the “hand over” of Hong Kong to reflect on the past? Not a word from Prince Charles. China could have flattened those two colonies – but did not. Given that Islam has retaliation among its values, the West may be in for a lot. Le Nouvel Observateur lists “groupes terroristes islamistes” in the world: Iraq-Syria, Lebanon, Palestine, Libya, Algeria, Mauritania, Niger, Nigeria, Somalia, Yemen, Pakistan, Indonesia, Philippines, Uzbekistan, Chechenya. The groups, named, grew out of similar local circumstances. Imagine that they increasingly share that longing for a caliphate; the Ottoman Empire covered much more than the Middle East, way into Africa and Asia. And more groups are coming. Invincible. Could that be the reason for Turkey not really joining, as it seems, this anti-ISIS crusade?